Sweet Romance Reads: Break Out the Fireworks! We're celebrating the release of Sweet Christmas Kisses 5 today. This holiday bundle of sweet romance novellas brings you contemporary romances that celebrate the joy of the season around the world, including snowy Maine and the sun-kissed skies of Florida, the mountains of Colorado to small-town Illinois and Virginia, New York to San Francisco, and even the glittering lights of Paris and the old-world charm of Florence. Sweet Christmas Kisses 5 features nine all-new, standalone novellas that will make you smile and warm your heart with Christmas spirit—all from from USA Today, Publisher’s Weekly, and award-winning Sweet Romance Reads authors. Christmas with the Poker Group by Beate Boeker, USA Today bestselling author. After losing her beloved grandmother and getting dumped by her boyfriend, Sabrina is left feeling like Scrooge this Christmas. She makes a plan to survive the holidays in Florence, only to realize her grieving grandfather has a plan of his own. One that involves the crazy Mantoni family and the distractingly handsome man she’s determined to avoid. Christmas with the Carmichaels by Christine Bush, USA Today bestselling author. Widow and retiree, Gabby, is ready for a rocking chair. At least according to her daughter. After getting stranded in a Maine snowstorm with a silver-haired fox, Gabby might find the courage to say “yes” to life once more, and find a Christmas love she never expected. Sweet Peppermint Kisses by Josie Riviera, USA Today bestselling author. Sometimes the best gifts are hiding right under your Christmas tree. His emotions were once trampled flat. Can he throw his heart over the fence toward the ultimate Christmas gift—a future filled with love? A holiday tale about the healing power of love. Christmas in Parris by Roxanne Rustand, USA Today bestselling author. Heather, a Kindergarten teacher, thought all her dreams were coming true—until she was jilted by her fiancé three months before their Christmas wedding. Since the honeymoon to Paris is already paid for, Heather decides to go solo. When a handsome young doctor literally runs into her on the street, the magic of Christmas in Paris may cause a change of heart. Second Chance Christmas by Kristin Wallace, USA Today bestselling author. Ten years ago, Mia Reynolds and Win Barrington spent one magical Christmas together. Until Win’s wealthy family tore them apart, and left Mia to raise a daughter on her own. Now, both have returned to their hometown. Can Mia and Win rediscover the love they once lost? Ghosts from Christmas Past by Mary Alford, Publisher’s Weekly bestselling author. She was the love of life, until a tragic accident on Christmas Eve left Charlotte Swenson in a coma. For eight years, Sheriff Dylan Parker of Bitter Creek, Colorado has held on to hope. When Charlotte opens her eyes, just days before Christmas, Dylan can’t help but believe a holiday miracle. Christmas Pizza to the Rescue by Jean C. Gordon. When a freak winter storm strands them alone at the Team Macachek barracks in Central New York, champion motorcross racer, Royce Evans, and out-of-work investigative reporter, Samantha Linder, strike a bargain that benefits them both. Will the spirit of Christmas be strong enough to save their blossoming holiday love? The Love Clause by Liwen. Y. Ho. He needs a fake girlfriend to advance his career. She needs a pretend date to keep her mom off her case during the holidays. The solution to both of their problems? A contractual relationship with one clause: neither of them can fall in love. A Christmas tale set in romantic San Francisco. 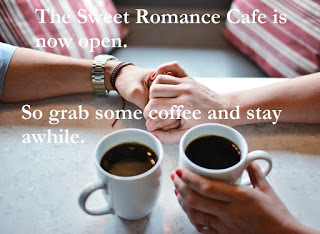 You can also keep up with the Sweet Romance Reads authors and our other new book releases and book bargains on our Sweet Romance Reads Cafe Facebook group. Yay! So excited! It's release day for Sweet Christmas Kisses 5! So exciting. Happy release day, everyone! Congratulations! I can't wait to read all the stories.